Happy Friday friends! I'm sure you are as busy as I am with Christmas prep, so I'll keep this short. I have lots more wrapping to do, a ton of cleaning, gifts to deliver and the laundry is piling up because my dryer pooped out! I think I've finally finished baking though. Whew! I'm a cookie fiend, and I don't think I can stand to look at another cookie for a while! 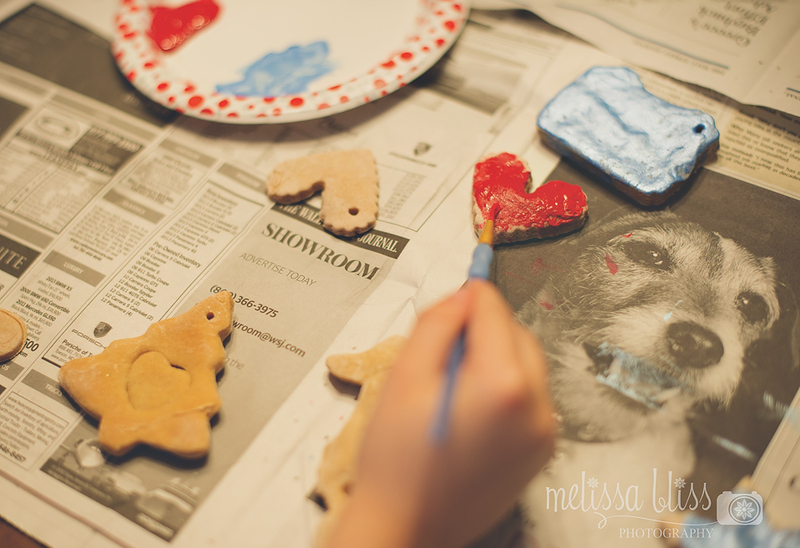 Anyway, I thought I'd share a peek into our holiday preparations. 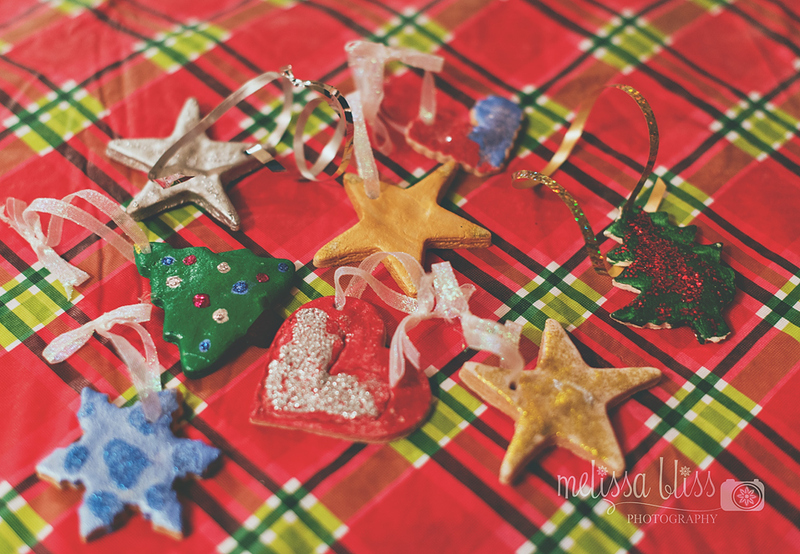 Each year the kids and I make salt dough ornaments for them to give to family and friends. 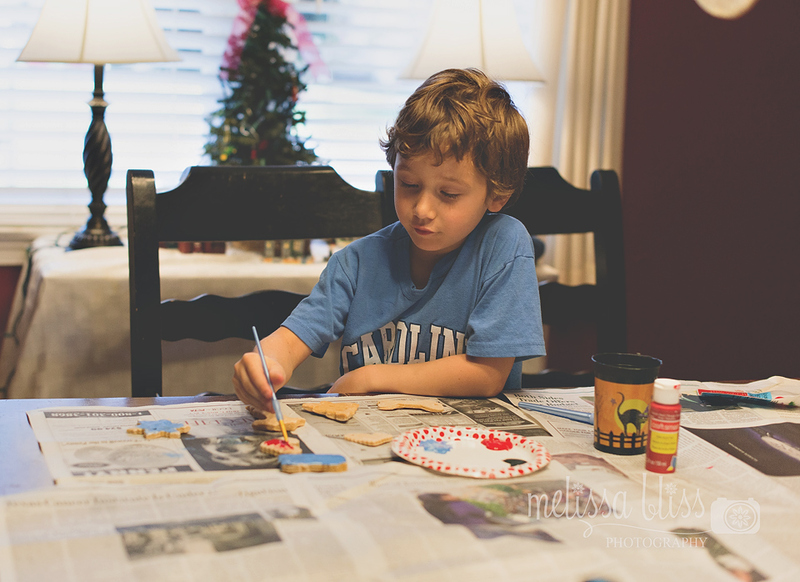 It's one of my favorite traditions, and it's a fun way for them to be creative and spread a little holiday cheer. Mix well with spoon. Roll out with additional flour to prevent sticking ( I always use a cheap plastic table cloth for easy clean up). Use cookie cutters to cut out shapes. Make a hole at the top with a toothpick for hanging. Preheat oven to 325 degrees. Bake on cookie sheets for 1 1/2 to 2 hours until dry. Then I let them sit out for about 24 hours before painting. 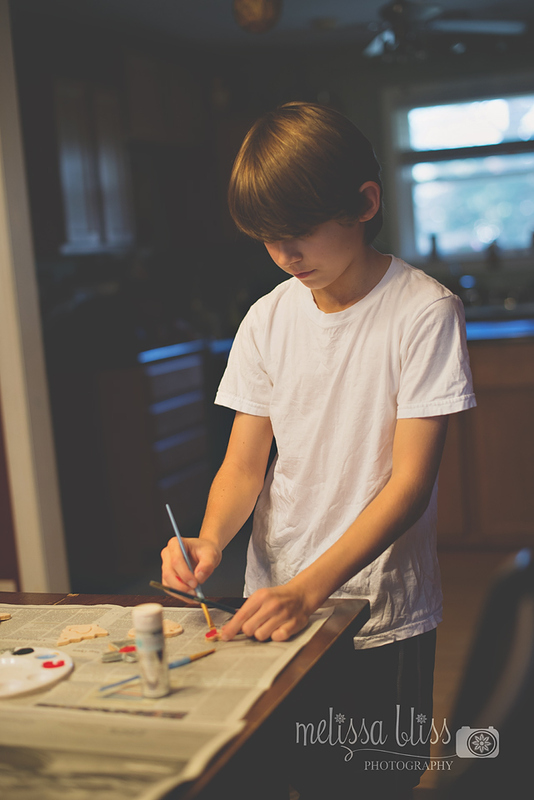 We use acrylic craft paint and glitter to decorate them. Once dry, I spray them with a clear sealant before adding ribbon. LOVE them!!!!!! I love that it's a tradition for you. I have had the note on my desk since long before the move got going. I have been meaning to do it & it just has not happened. Oh well- maybe next year. 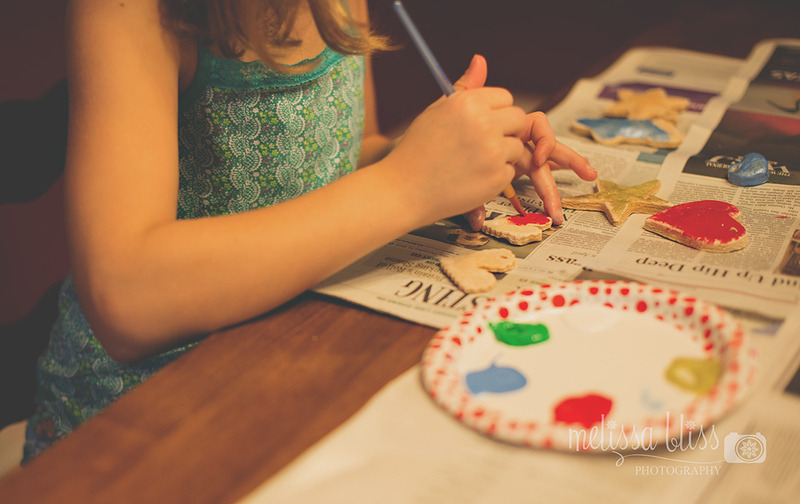 We love making salt dough ornaments!! They are fun!! We didn't do any this year either. :( They all did a beautiful job!! They will be cherished gifts for sure! I wish I could "borrow" some of your cookies!! I've barely done any baking ... as a matter of fact, I've only baked a double batch of peanut blossoms. Hoping to make some fudge this evening. Hope your holiday prep goes smoothly!!! Enjoy and Merry Christmas!! These are beautiful! 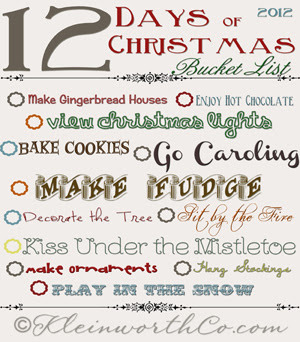 What a fun tradition! What a great idea! Wish I knew this before I started my pinecone ones!